We provide septic solutions including lateral fields, ejector pumps, gravity systems, low pressure systems & mound or pond systems. The Plumbing Pro is your septic system repair, replacement & installation pro. We’ve been providing septic solutions including lateral fields, ejector pumps, gravity systems, low pressure systems and mound or pond systems. We’ve been serving homeowners all over the Kansas City metro for four decades. Not all residents of the metro will even need to know what a septic system is, but those who do need to know the Plumbing Pro.. The Plumbing Pro offers no hassle estimates on all types of waste water treatment projects. 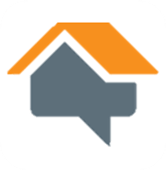 Whether you are looking for a new installation or just a service repair, we can help. Call us at (816) 763-8200 to have one of our knowledgeable, licensed master plumbing pros take a look at your project and provide an opinion. 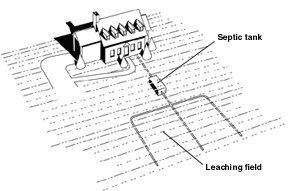 Here are some questions to ask yourself about your existing septic system when you start to suspect problems. Do you smell an odor near the septic tank? Is the ground around your septic field abnormally moist? Or is the earth above your tank lower than the surrounding earth? Are you suffering from backups or clogs? If there is a problem that we can determine has a solution the Plumbing Pro will suggest a cost-effective next step. The Plumbing Pro can repair worn or broken lines and tank failures with the highest quality materials. 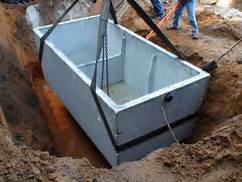 Getting your septic system working again in the safest, most cost effective way possible is our goal. The Plumbing Pro is proud to provide replacement services to the entire Kansas City metro and surrounding counties of Jackson, Johnson, Lafayette, Clay and Cass. OWTS (On-Site Waste Water Treatment) repair and replacement remains a specialty and you should treat it as such. Find a professional, get multiple quotes and as much information as you need to make a reasoned judgment. When it comes to septic systems one thing you don’t want is someone working out of the back of their pickup truck, unlicensed and uninsured. Sure, they may have the best price, and it may seem to be worth the risk but that is your choice. Our experience is that customers who cut corners end up paying more in the long run. Why? Testing, design, proper engineering, and permitting are all important. Is your installer trained and certified to do your OWTS septic system? Does your professional get all the local permits necessary? Finally, do they have necessary skills to design and engineer a proper solution for your waste water treatment needs? Don’t find out after you start the project, ask the professional these questions and expect them to share evidence of their success. When you work with the Plumbing Pro on a septic service installation in the Kansas City area you can expect that we will do the proper testing – perk, soil and morphology as necessary. We will examine and analize your unique property to provide a design that is engineered based on the needs of your project. Using the information we accumulate (tank requirements, soil situation and technology appropriate) we will then design and propose a bid for your project. Finally, we promise everything we do will be up to code in your locality or municipality. The next time your residential or commercial plumbing is leaking, clogged or dripping – call The Plumbing Pro in Jackson, Platte and Clay Counties in Missouri at (816) 763-8200 and (913) 782-9669 in Johnson County KS. The Plumbing Pro offers FREE NO HASSLE ESTIMATES if you like the price we’ll do the work. We accept cash, credit and have several financing options available. That’s why The Plumbing Pro is the HEARTLAND’S most recommended plumbing, sewer, drain, and rooter company. DID YOU LIKE OUR SERVICE? LET US KNOW, LEAVE A REVIEW.